Perfect simple design and high quality materials pack with zipper (resealable and durable zipper). Double aluminium foil. Furthermore, these bags come with a bottom that enables it to stand as a pouch. 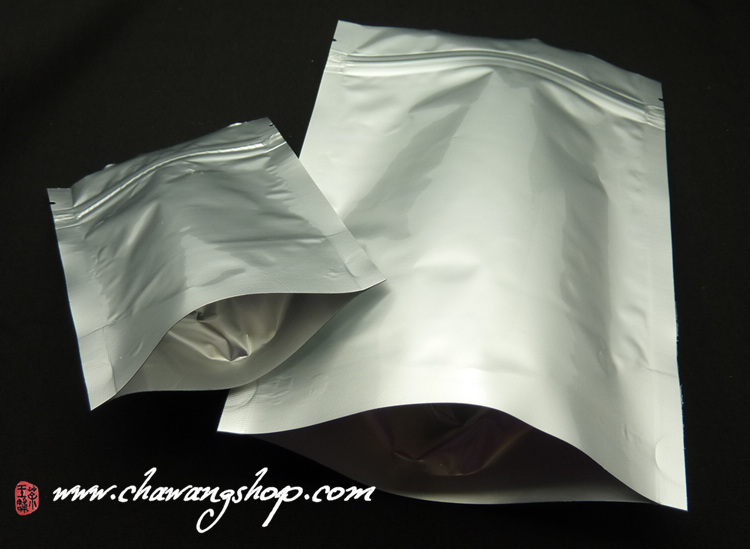 This pack can be used for tea, coffee or other foodstuffs, and can be sealed by heat sealer. 14x19x4cm 50 bags - similar with previous. Please for large quantity and wholesale discounts contact us by email !